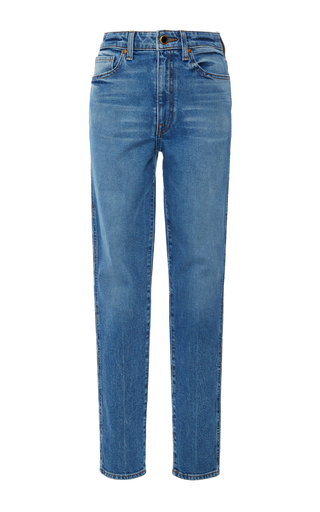 Totême's jeans are modeled after vintage styles that line co-founder Elin Kling's closet. Made from pure cotton that will only get softer with each wear, they hit just above the ankle and have off-centered seams to accentuate the straight-leg shape. Wear yours with everything from sneakers to pumps.